After so many comments about our Master Distillers apron, we had to make it available for purchase. 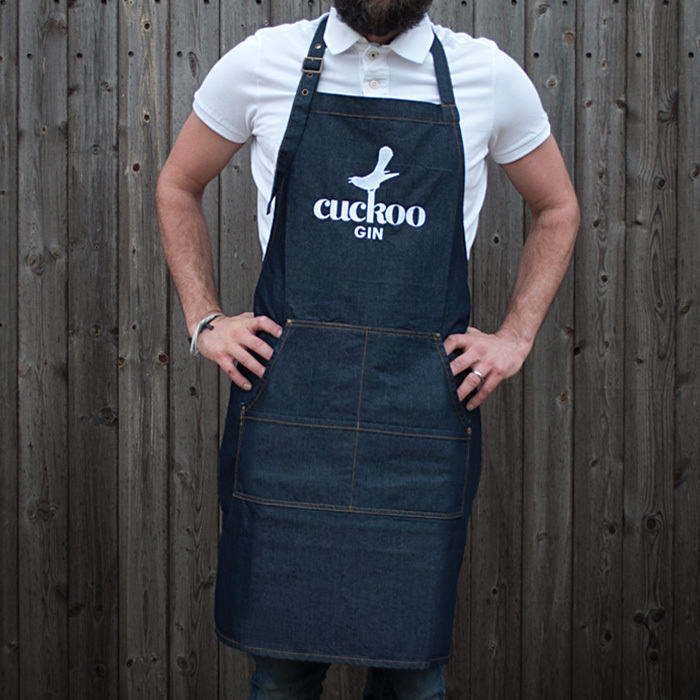 Four large front pockets, denim and embroidered with our Cuckoo Gin logo. Waist tied with adjustable neck strap. Low iron and tumble dry.